One year, same two teams. 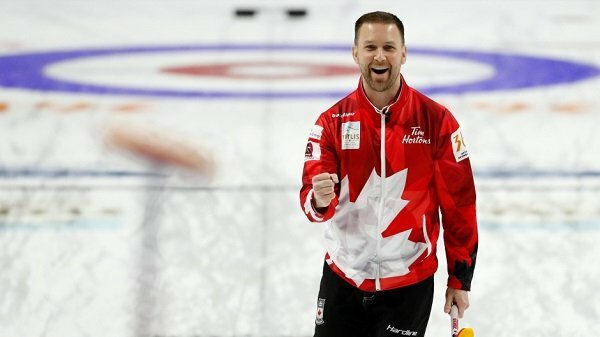 Brad Gushue and Canada overcame some early difficulties to make it back to the gold medal game to defend their championship against their Swedish rivals led by skip Niklas Edin. While not as dominant as last year, when Gushue and his squad went unbeaten and led the tournament in shot percent, point differential, and had the fewest ends lost, they're still the favourites (-146). Canada beat Sweden thrice last year. They buried them 7-4 in the page playoff system in a "shootout" that saw Canada shoot 91 per cent. Sweden rebounded in the semis by edging Switzerland to make the title game but it was all Canada again as they edged them 4-2, this time in a defensive bout. 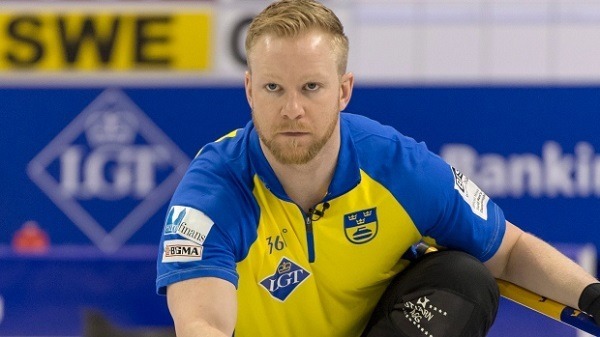 This year, the Swedes are looking like the superior team finishing on top of the round robin with only one loss while Gushue and Canada lost thrice including once to Edin. 2017 was a once-in-a-lifetime feat for Gushue and Canada. Finishing 13-0 in the tournament, Gushue became the first skip to win the world men's title, an Olympic gold medal, and a world junior title. In doing so, Canada also became the first country to hold both the Olympic and World championships in both men's and women's curling. A dropoff this year was expected but despite only finishing third in the round robin standings, Gushue and the team are back in the title game. Gushue is second among skips in shot percentage (85 per cent) behind only Edin. Lead Geoff Walker and third Mark Nichol are on top with 91 per cent and 87 per cent, respectively. Canada is third in point-differential with +31 and second in points for with 86. Notably, they have a +10 differential on ends won and lost, which is second-best and higher than Sweden's +5 differential. They are surrendering more points than last year but are still a top defensive team and barely lost to Sweden 5-6 despite an impressive run from Sweden. Last year's ninth-end loss to Canada has haunted Edin and he's come back like a man possessed. The two-time world champion is aiming not only for his third gold but to finally end Gushue's reign at the top. Sweden and Canada were deadlocked at two apiece last year until Canada scored in the ninth to seal the title. Edin leads all skips in shooting percentage (90 per cent) this tournament with the rest of his team in the top-three. The team as a whole leads the tournament with 88 per cent shooting. Defence has been Sweden's strength and they have surrendered only 44 points during the round robin and have lost the fewest ends. They showed true grit in overcoming Canada with a 6-5 win scoring on the tenth end and edging South Korea in a 9-8 shootout. Despite their improved play, Sweden will still be underdogs to Canada though their newfound mettle and defensive fine-tuning will make an upset victory unsurprising. Prediction: buckle up because we might have ourselves another close game like the past two meetings between the teams. While Gushue and Canada aren't rolling like 2017, they are still more than a match for Sweden. Both teams are defensive juggernauts but Canada is still better on offence and delivers when it matters most. The scoring will be low and this might go beyond nine ends. History is firmly on Canada's side as the Canadians are 5-1 in gold medal games against Sweden dating back to 1985 although that lone win from Sweden was by Edin's team. But when it comes down to the final ends, bank on Canada to edge Sweden. Hockey might be Canada's most popular sport but Canada truly dominates in Curling. While its appeal is mostly still within the country and parts of Nordic Europe, Canadians are obsessed about their curlers. These online sportsbooks not only gives enthusiastic fans more ways to get into the game but reasonable ways to earn extra coin. Check out the reviews to learn more about these bookmakers.